“Live Forward! Run to Remember,” a 5k run presented by Keep Kids Alive, Drive 25® and sponsored by Great Plains Auto Body, happens this Saturday, April 16. Its purpose is to raise funds for Keep Kids Alive, Drive 55® and to support family members of those killed in traffic accidents. 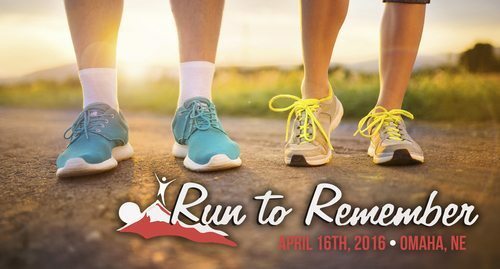 Get information on the Run to Remember. Keep Kids Alive, Drive 25® is dedicated to educating the public about safe driving speeds and tactics. Its goal is to make the streets safer for everyone. Organization members host events throughout the year to raise awareness and to memorialize those killed in traffic-related accidents. Learn more about Keep Kids Alive, Drive 25®. This community event is one of many Great Plains Auto Body supports. Whether it’s to give a deserving veteran a refurbished car through Keys to Progress ® or to sponsor a parent-teacher organization, Great Plains Auto Body is a proud contributor to and a member of the Greater Omaha community.